This year’s Time to Talk Day is all about bringing people together to talk openly about mental health, whether that’s close family and friends, or employers and employees. It’s a day to challenge the stigma surrounding a taboo topic that affects so many of us and our loved ones. Time to Talk day takes place on February 7th and is ran by mental health initiative Time to Change. In fact, considering that one in four of us will experience a mental health condition in any given year, it’s surprising to learn that a lot of people are still afraid to talk about it. This could be due to a range of social perceptions surrounding mental health conditions. Yet, having conversations about mental health can help improve relationships, boost communication, banish stereotypes, and aid recovery. There are lots of different ways to have a conversation about mental health, and you don’t have to be an expert to broach the subject, but what about when it comes to the workplace? Poor mental health does not limit itself to our personal lives and can be caused by, or indeed affected by, our work lives. So, why do some employers find it a difficult issue to tackle head-on? When we consider how much time we spend at work, it makes complete sense that our mental health is affected by the stresses and strains of everyday work life. According to the Health and Safety Executive, around 560,000 workers suffer from work-related stress, anxiety or depression. Our nation, in particular, has been singled out for its stressed and consumed work culture, with a global study by Cigna revealing that the UK is falling behind in terms of workplace wellbeing, compared to other countries. Not only is our number one wellbeing issue ‘unmanageable stress’, but we rank as the fifth worst in the world for it, placing above the UAE, Saudi Arabia, Australia and Korea. The research also showed that more than a quarter of those surveyed attributed their stress to work, while factors at home such as finances, family issues and health problems triggered less stress than experienced in the workplace. Many employers in the UK will be well aware of the importance of supporting good mental health in the workplace and the impact on the business if an employee is struggling to cope. So, with such a clear issue happening in the UK, what can employers do to make sure that the mental health of their team is at the top of their agenda? Firstly, it’s essential to understand what is meant by ‘mental health’, and to be able to spot the signs early. Broadly speaking, it includes everything from stress and anxiety, to depression, bipolar disorder and varying degrees of obsessive compulsive disorder (OCD). These conditions can manifest themselves into signals for employees to look out for, such as tearfulness, low mood, loss of humour, tiredness, irritability, poor time-keeping or increased absence and presenteeism. Secondly, if you have recognised a change in an employee that you believe could be a sign of poor mental health, then it’s important to take the necessary steps to tackle the issue. It could be that your employees are feeling a bit overwhelmed by their to-do list, or simply feel that juggling work and family life is getting a bit too much, in which case, it might be time for them to take a step back and focus on themselves with their employers support. Whilst employers aren’t able to provide professional advice, they can provide support and create a culture of openness to ensure trust and confidentiality, encouraging employees to talk about how they are feeling. Additionally, giving staff access to the tools and support they need to manage their own mental health is essential, which can be done by incorporating a Health Cash Plan into a portfolio of employee benefits. Health Shield offers Thrive, an NHS-approved mental wellbeing app as part of its Tailored Health Cash Plan. 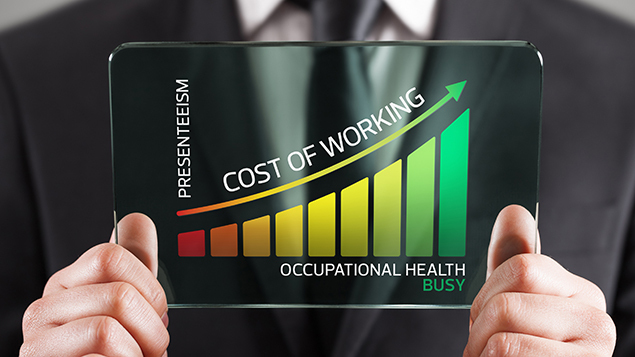 Along with everyday healthcare benefits such as dental, optical and physiotherapy, qualifying Tailored customers can access Thrive along with Health Shield’s Employee Assistance Programme to help improve mental wellbeing, resulting in happier and more productive employees and a positive affect for businesses alike. 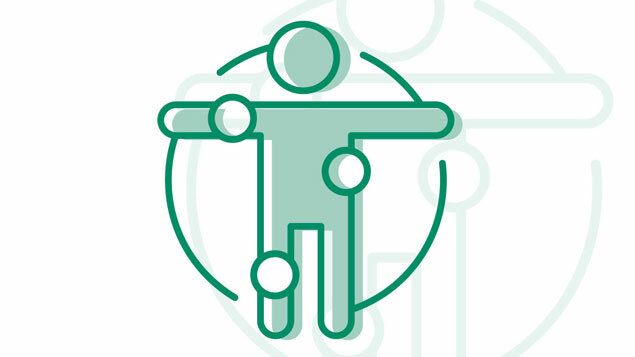 The Thrive app integrates with Health Shield’s Employee Assistance Programme, allowing employees to be referred to the EAP from the app if they have shown signs of a current or a developing mental health condition, where they can speak to a qualified counsellor and develop coping strategies and tips for improving their mental wellbeing with a support network in place. 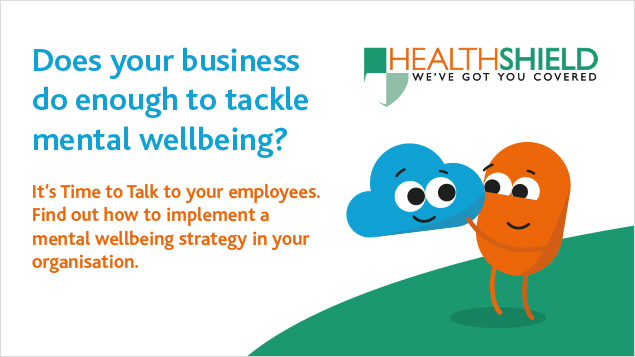 For further information and free tips on how you can improve mental health in the workplace, visit www.healthshield.co.uk/thrive. Is the ‘cost of working’ set to rise? PROMOTED | The ‘cost of living’ is always in the media spotlight. It is tangible, highly visible and politicians, depending on their allegiance, will commonly use rhetoric to either support their party or disparage their opposition.